ADB is an interface that allows you to communicate with your device from your computer through shell commands and some special commands to your mobile device provided usb debugging is enabled on your device. ADB can be used either when the device is fully booted or when it’s in recovery mode. And it works for on both rooted and non-rooted devices. 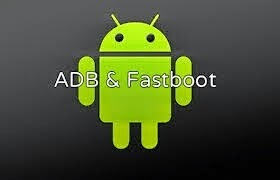 Both ADB and Fast Boot comes along with the android SDK. But if you aren’t a developer and you just need only the ADB and Fast Boot then downloading the whole Android SDK file is just a total waste of bandwidth and time considering the large file and how difficult it is to set it up. Thankfully XDA senior user known as snoop05 has created a minimal installer that allows you to install the ADB and fast boot within few seconds (with necessary drivers installed and the tools added to your system path) which means you can run the command from any folder. ==> Simply download and run the installer. ==> You will be asked if you want to install ADB and Fast boot—type "Y" and press enter. ==> It will also ask if you want to install ADB system-wide, type "Y" and press enter. ==> This will open another installer for the drivers and your windows may ask to install simply click "Next" and allow the drivers to install. ==> Once the installation is complete, the installer will close and you are good to go. Very soon I will be showing you some few uses and commands of ADB so keep in touch.